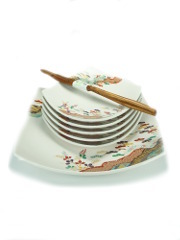 There are a lot of different Japanese plates since each plate has a proper function. 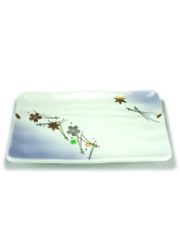 We are going to briefly introduce few type of plates. Oozara (大皿): These are the biggest plates, they can be round, square or rectangle. According to the shape, the plate will be used for a type of dish. 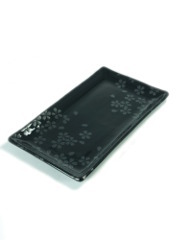 For example: rectangle plates or “Yakimono Zara” will be used for grilled or roasted items such as Yakitori or Yakiniku. The other plates will be used for more sophisticated dishes such as Sashimi. 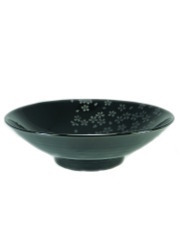 Torizara (取り皿): These are the medium size plates which can be either flat or like a small bowl with the sides lightly lifted. They can be used for all kind of meat, fishes and also salad or vegetables. 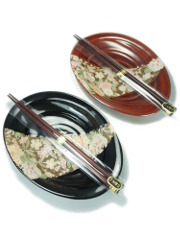 Kozora (小皿): These are the small plates which can be used for salad, vegetables and also sauces. 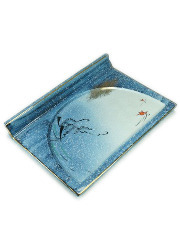 Japanese like to mix the shapes, the sizes or the textures of the plates in order to create sophisticated tables for their guests. You will be able to create your own tables as you wish to please your family or your friends.